This inspirational and reader-friendly guide offers school leaders six quick and achievable steps for transforming teaching and learning into a high-impact action plan. 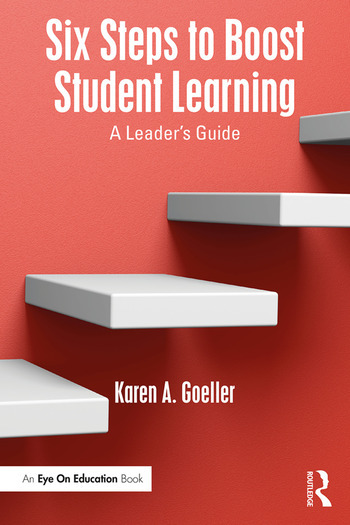 Author Karen Goeller shows how effective curriculum, instruction, and assessment work can help students overcome college, career, and life challenges. With its clear steps and concrete advice, this text will help school leaders in any district ignite passion for continuous school improvement and sustain a culture of ongoing and collaborative learning. • energizing staff and students with networking strategies and transition activities. Each chapter offers research tips, guides to action, numerous examples, reflection questions, immediate take-aways, and downloadable tools. Karen Goeller is Deputy Superintendent for the Vigo County School Corporation in Indiana and Adjunct Instructor of Educational Leadership at Indiana State University. Karen Goeller is Deputy Superintendent for the Vigo County School Corporation in Indiana, and Adjunct Instructor of Educational Leadership at Indiana State University.